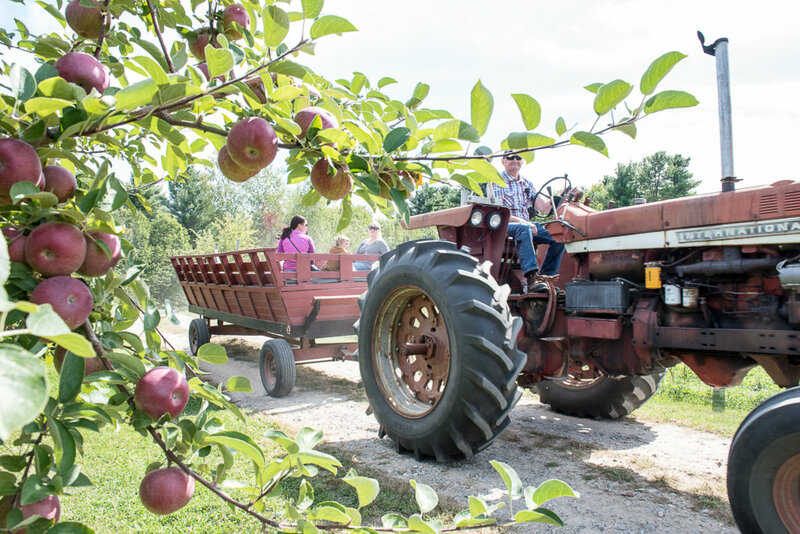 LIVERMORE — Visitors at Boothby’s Orchard & Farm were welcomed with fresh cider and local cheese in celebration of Maine Apple Sunday. Rob and Denise Boothby, owners of the seventh-generation orchard at 366 Boothby Road were on hand to greet guests, give tours and answer questions. The most popular variety, Honeycrisp, will not be ready for at least a week, he said. 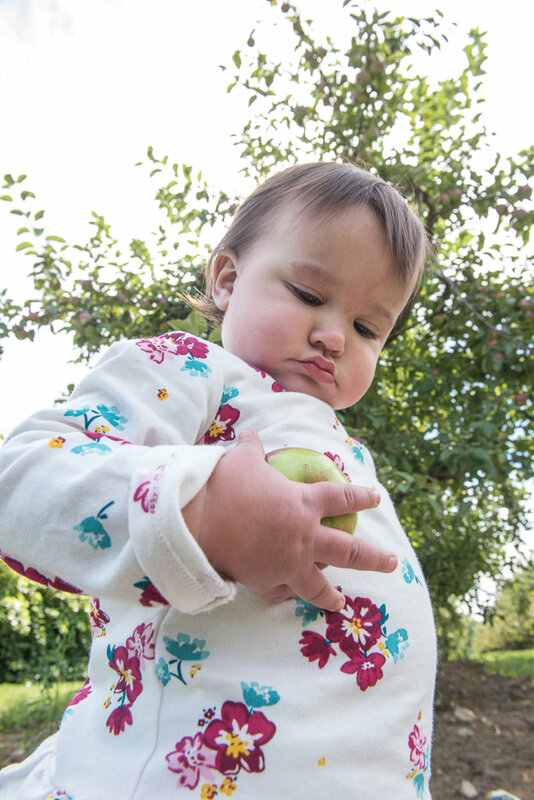 Apple picking at Boothby’s has been a tradition for Gino and Cassie Salgado and their children Amelia, 3, and Jovie, 1, of Rumford. 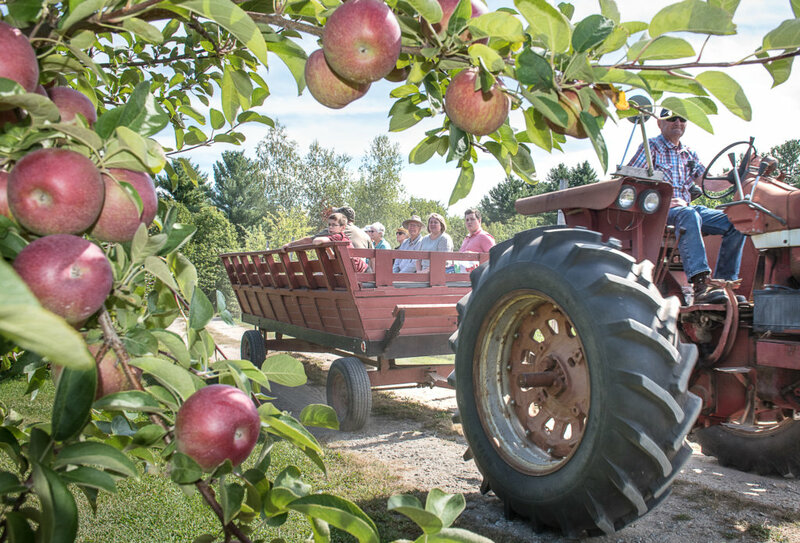 The 19th annual Maine Apple Sunday, sponsored by Maine State Pomological Society, was held at participating orchards throughout the state. 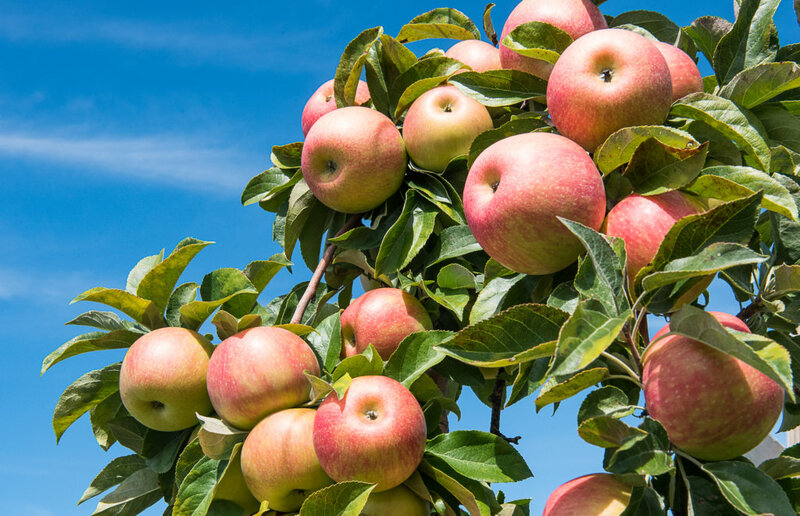 Pomology is the branch of botany that studies and cultivates fruit. 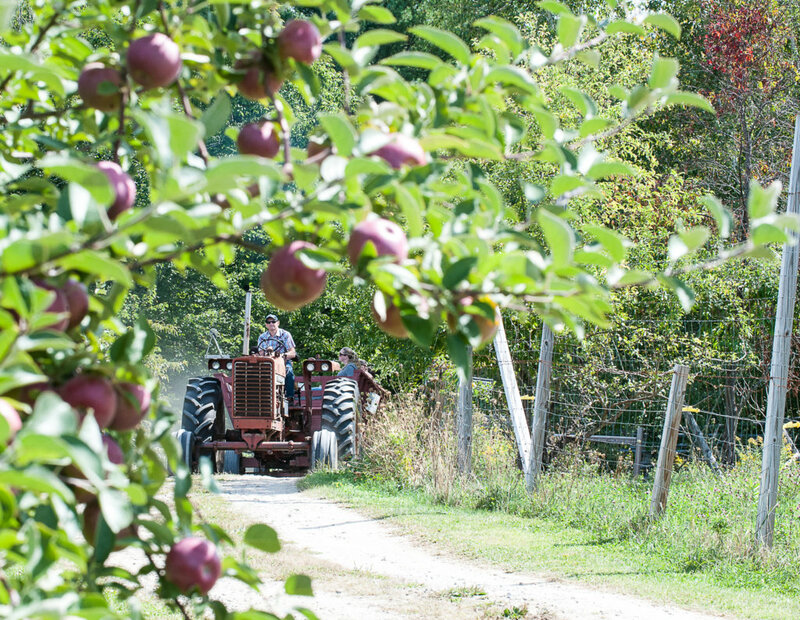 According to the society, Maine Apple Sunday coincides with the beginning of peak apple harvest, when summer apples are still available but the main crop is ready for its first pick. “We are anxious to get the season started,” said Rob Boothby, whose farm stand also offers bagged apples, sweet corn, Boothby beef and wine and more.